If you need additional blog author, you can easily add it, and write a blog with a team. 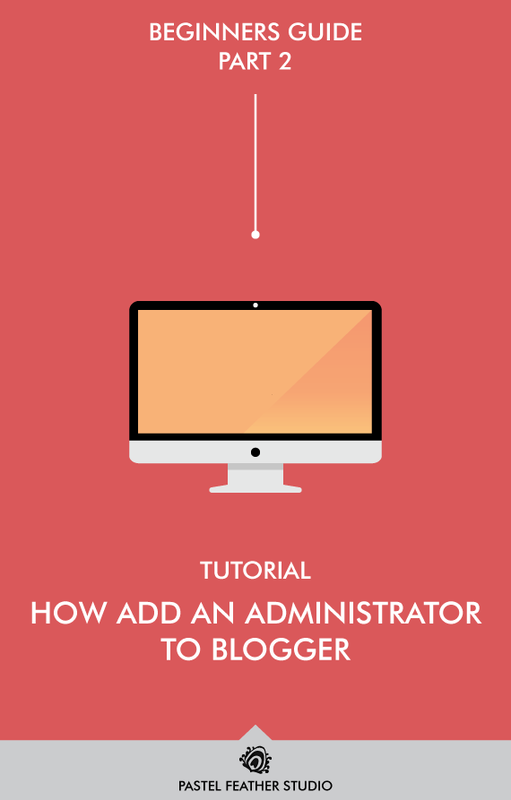 Let me show you what is the difference between the author and the blog administrator and how add new members. * FOR CLIENTS: Administrator rights are necessary if I have to install the template or make changes in template. So if you purchased ADD-ON from my shop and don't want to give me your password - have a look at this tutorial. 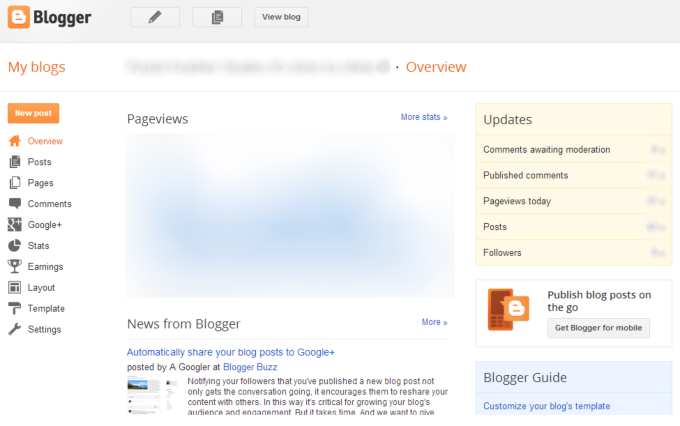 The administrator has access to the entire blogger dashboard as the founder of the blog. WHATS A BLOG AUTHOR SEE? The blogger author has access only to the post section and the part of settings section. He can write new posts, edit old posts, change labels, etc. 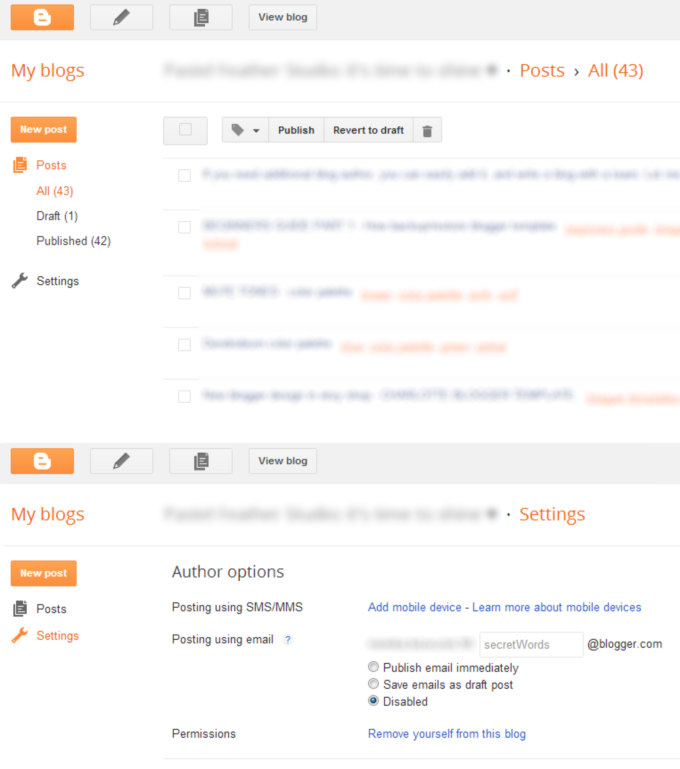 In the settings author can configure adding posts via e mail or SMS, and completely remove yourself from this blog. Nothing more. Now we can move to the actual tutorial. 2. In Basic section, you will see permissions. As you can see in the attached picture, you have access to the list of blog authors and their rights. To add a new author, click + add authors and write e-mail the chosen person. 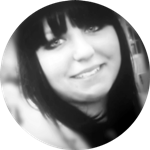 This person will receive an automatic email that was invited to blog and after logging in to blogger, can accept invitation. You won't get an automatic notification that someone accepted the invitation (I wish...). Just the list of authors will be increased. After that you can change the Author permission to Admin. In fact, that's all. You can add a few people and write a blog on the team. You can give admin rights only one additional member and have him to dealing only with design and layout of your blog. Digression: This is a situation which can be found on Facebook. If you add an administrator to your fan page, he can remove you as administrator and access to your fan-page. Many times I read about these cases in the forums, people have asked how they can regain access to the site. Unfortunately there is no way. I myself have experienced this, and I had to report the page to delete, and after two weeks I was finally able to lead to its removal. Then I start over my fan-page, and open new one - but old address (URL) was lost... So, please be careful, just in case. Do you work in a team, or write on your own? Have you ever had a problem with the administrators in Blogger? Feel free to ask questions, complete my information or share your story - love ya my shinies!